Crans Luxury Lodges is a group of 5 deluxe chalets perched in a sunny plateau overlooking the valley of Crans Montana. They are built on land that has belonged to the same family for over 400 years. 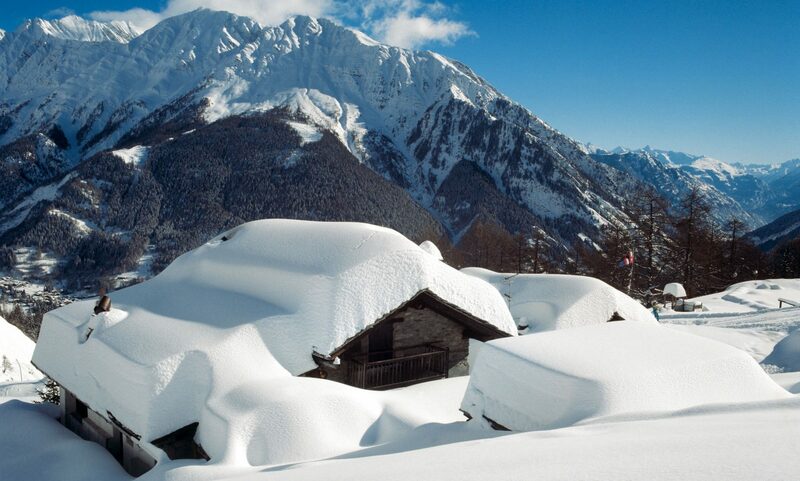 The properties are totally Ski –in/Ski- out. These are seriously grand chalets, with all the details thought for those smart guests that choose to stay here. Each chalet has its own style. Tailor-made decoration and design was used using the Swiss tradition with a touch of modernity. The chalets are great for families, friends or business colleagues. Each chalet can host between 8 to 10 guests with elegant rooms and en-suite bathrooms. All chalets have an open-style kitchen, dining room, plenty of leisure and lounge space, wine cellar, large terrace with stunning views, fireplace and a private spa, with an infinity Jacuzzi and dry sauna. Each chalet has 250 square meters over two or three floors. Guests are offered also hotel services, such as the continental breakfast served each day at their chalet, or the services of their complimentary concierge, that can book activities and transfers, get the nanny for that special night out, or organise a chef to come to cook at their chalet. A service of housekeeping is offered for those longer stays and final cleaning is included in guests’ stay. Crans Luxury Lodges offer also a meeting space for up to 40 people on 90 square meters. This is great for those work colleagues coming for team building opportunities with the majestic views of the Swiss Alps. Crans Luxury Lodges can plan different activities and guided tours to create the perfect trip. Previous PostPrevious Grischa Das Hotel Davos is starting the season with great events for its guests.